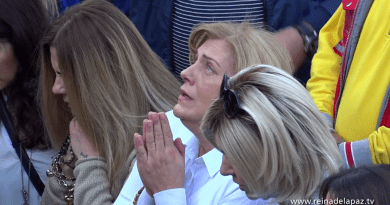 As the Vatican continues its international Commission investigating the ongoing apparitions of Medjugorje, under the leadership of Cardinal Camillo Ruini and the CDF, the Holy See should not ignore an important, but little known, fact about these Marian apparitions. They were confirmed as being authentic by the main visionary of Fatima, Sister Lucia dos Santos, who not only confirmed but also reported experiencing apparitions of Our Lady of Medjugorje in the convent. 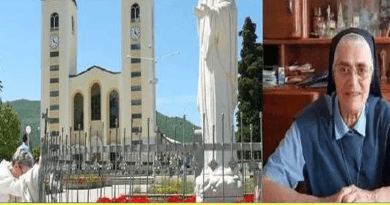 According to Sister Lucia’s own nephew, Father Salinho — a Salesian priest who lives in Portugal — Sister Lucia continued receiving visions of the Virgin Mary long after 1917, and some of these apparitions of the Virgin spoke to Sister Lucia of the Madonna’s continued work in Medjugorje. This report of Father Salinho’s was documented by the French author Sister Emmanuel Maillard in her book Medjugorje, Triumph of the Heart! (Queenship, 2004), a revised edition of Sister Emmanuel’s earlier popular work, Medjugorje: the 90s. Pope John Paul II met with Sister Emmanuel, was given a copy of her earlier book, and therefore this knowledge – between Fatima’s main visionary and the apparitions in Medjugorje – may not have been foreign to the Vatican. This is a very important revelation, for one of the things that the Church looks for, in evaluating apparitions, is coherence between Mary’s apparitions. Fatima and Medjugorje already have an immense amount in common; from the miracle of the dancing sun that has been recorded at each location – once in Fatima and numerous times in Medjugorje – to references to Mary’s Immaculate Heart in the devotion of both Fatima and Medjugorje, to the spiritual program of daily prayer – especially the Rosary – Mass, fasting, and penance for the salvation of sinners at each site; to incredibly similar depictions of visions of the afterlife, particularly of hell, which were given to both the Fatima and Medjugorje seers by their apparition. The coherence is evident. Now there is even a report from a Catholic priest and a family member of Fatima’s main visionary, that Sister Lucia herself experienced apparitions of Our Lady speaking about her work in Medjugorje; and, therefore, Sister Lucia reportedly confirmed the apparitions of Medjugorje through her own private revelations of the Virgin. This revelation also places doubt onto many theories that Medjugorje critics have advocated. Donal Anthony Foley, the British author who – in his book, Understanding Medjugorje – lionizes the apparitions of Fatima while (quite literally) demonizing the apparitions of Medjugorje, portraying the two apparition sites as having nothing in common. Well, if critics believe in the authenticity of Sister Lucia’s visions, then it becomes difficult to doubt that the Madonna is not appearing in Medjugorje since Sister Lucia herself confirmed this very fact, after being told so by her apparitional experience of the Virgin Mary. This report by Sister Lucia’s nephew has, unfortunately, not been circulated widely. 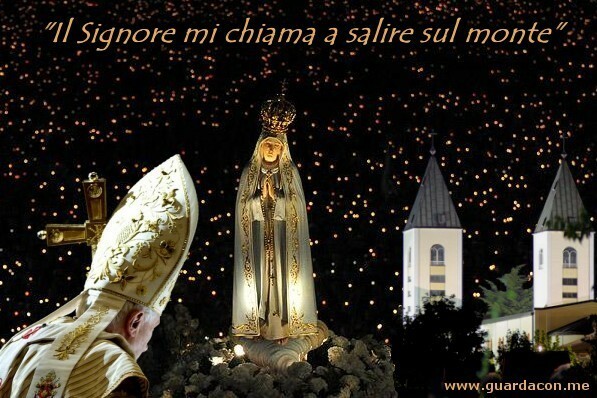 But it shows that Pope John Paul II was not alone in the conviction that Medjugorje completes Fatima, and that the two sites share the same spiritual source: the Mother of God. Interestingly, from Monsignor Slawomir Oder’s recent book on Pope John Paul II, Why He Is a Saint, we received confirmation that the Pope considered Medjugorje the fulfillment of Fatima, explaining in 1984: “Medjugorje is the continuation of Fatima, it’s the completion of Fatima.” Now we see that this conviction of the Pope’s was not simply a personal opinion, for even Fatima’s own visionary, Lucia dos Santos, proclaimed the same, that the same Virgin who appeared to her in Fatima continued appearing to her in the convent, and told Sister Lucia of her – the Virgin’s – continual work in Medjugorje. What is interesting about Lucia’s visionary experiences of the Madonna is the fact that they did not end while she was a little girl. 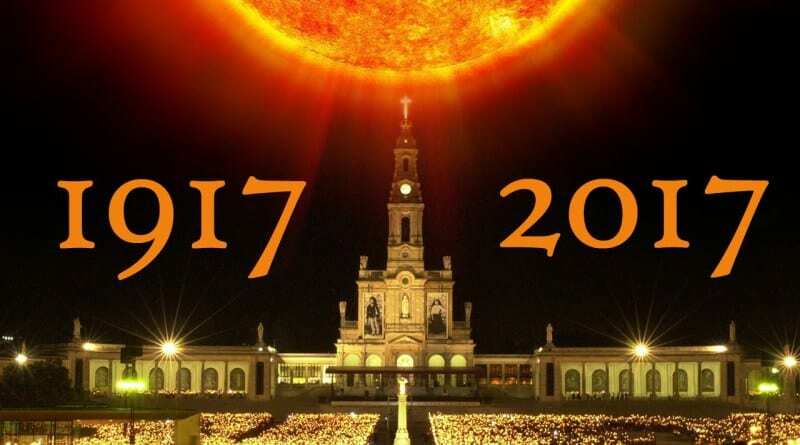 It is true that the last apparition in the Cova da Iria fields nearby Fatima, resulting in the miracle of the dancing sun that was witnessed by an estimated 70,000 people, did conclude on October 13, 1917. However, even after the conclusion of these public apparitions, Sister Lucia continued receiving private revelations of the Virgin Mary as a nun in her cell. The same Virgin Mary that came to her as a little girl in Fatima continued appearing to Lucia as a grown woman in the convent. 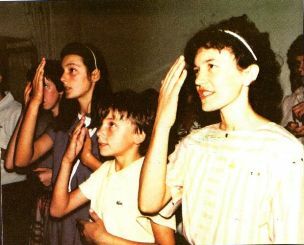 The apparitions lasted late into Lucia’s life, even after the Madonna reportedly began appearing in Medjugorje to six Croatian youths in 1981. Lucia dos Santos was the only remaining visionary of Fatima who lived through the twentieth century and into the twenty-first. 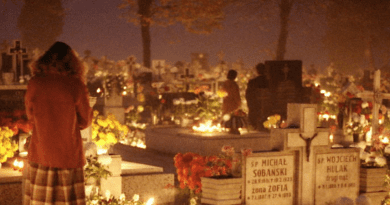 Shortly after the apparitions of Fatima began to three shepherd children in 1917, two of the children, Jacinta and Francisco Marto – brother and sister – passed away. Francisco died of bronchial pneumonia in 1919, while Jacinta developed a serious case of pleurisy and died in a Lisbon hospital a year later. Francisco was two months away from turning eleven, and Jacinta was only a month away from celebrating her tenth birthday. It was Lucia who lived onto old age. She became a cloistered nun, making her perpetual vows on October 3, 1934 under the name Sister Maria das Dores – Mary of Sorrows – at the Institute of the Sisters of St. Dorothy in the convent of Tuy, Spain. Later Lucia would return to Portugal and become a Discalced Carmelite on May 31, 1949, taking the name Sister Maria Lucia of Jesus and the Immaculate Heart at the Carmelite convent of St. Teresa in Coimbra. Sister Lucia died in the convent at the age of 97 on February 13, 2005. Brother Daniel Maria Klimek, T.O.R., is a Franciscan friar, writer, scholar, and blogger. He earned his Ph.D. in spirituality with distinction from the Catholic University of America, and is a graduate of Yale Divinity School. Br. Daniel Maria is a recognized authority on the Marian apparitions of Medjugorje, the subject of his dissertation. His popular articles have been published in Aleteia, Patheos (MysticPost), MinistryValues, MedjugorjeToday, Medjugorje.org, Spirit of Medjugorje, and he has been featured discussing Medjugorje on Radio Maria (USA), MaryTV, the documentary film Queen of Peace, and the National Medjugorje Conference at the University of Notre Dame. 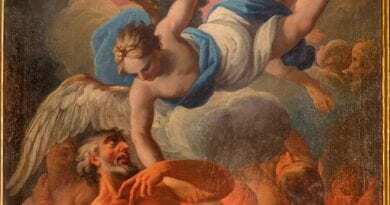 He has also been featured on Radio Veritas discussing Catholic spirituality and Marian devotion. Br. Daniel Maria’s writings have been translated into Croatian, Polish, German, Spanish, Korean, and Indonesian. His scholarly articles have been published in Franciscan Connections: The Cord – A Spiritual Review, Glossolalia, and the Encyclopedia of Global Religion. Br. Daniel Maria is a simply professed friar with the Franciscan Friars of the Third Order Regular of the Province of the Most Sacred Heart of Jesus, pursuing a vocation as a Franciscan priest. ← “If one single bullet is fired I will nuke the USA” Kim Jong-un …Is the threat real?